Pastor Stuart was appointed to St. Mark’s in July 2018, as our full-time associate pastor. He administers our congregational care ministries, assists with the Wednesday evening “Soul Station” service, and works with several committees. Additionally, Pastor Stuart assists in Sunday worship and with special services, preaching and worship leading as needed. Pastor Evy was appointed to St. Mark’s in July 2018, as our part-time associate pastor. Pastor Evy leads our Wednesday service “Soul Station,” is staff liaison to our Safety Ministry and directs the St. Mark’s drama team “Faith On Stage,” and preaches in worship on occasion. Bart came to St. Mark’s in November, 2016, and is an invaluable member of the staff. 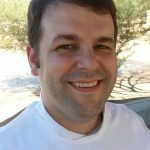 He moved to Tucson in June, 2016, from Minnesota, where he was employed in a repair and maintenance position with the Minnesota Department of Public Safety. Bart brings with him a wealth of experience, and diligently works to keep the church campus visually appealing and in good repair. There’s very little he can’t fix! Sondra has blessed the church with her musical talents since moving to Tucson and becoming the St. Mark’s organist in 1999. Additionally, she directs our Celebration Singers and the Summer Choir. As the full-time staff member in the front office, Shelley is the glue that holds us all together! She maintains the church calendar and schedules all room usage. She also assists the Senior Pastor with many forms of worship coordination, creates the bulletins for weekly worship and special services. 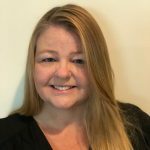 Lane Harmon, MC, LPC, is a licensed psychotherapist with over twenty years of experience working with adults, couples, families, children and adolescents. She also facilitates the St. Mark’s Grief Support Group. Cathy has led the Praise Team at The Gathering (our 11:15 contemporary service) since 2005. In addition, Cathy teaches high school chorus for one of the local school districts. Ruth joined St. Mark’s in 1999 and became the staff bookkeeper in 2011. She handles accounts payable and payroll, as well as providing invaluable records for our Finance and Endowment Committees. JoAnn began attending St. Mark’s in 1994, and it was here she picked up her first handbell. She says she was immediately hooked! In 1999, she also became a founding member of Sonoran Bells, a community handbell ensemble. (She continues to ring with them.) In 2008, JoAnn became the director of the Bells of St. Mark’s. Rachel grew up participating in Sunday School and Youth Ministries St. Mark’s, and served as the Interim Youth Coordinator in early 2007. She holds a degree in Religious Studies from the University of Arizona, and previously served as the Director of Family Ministries at Sanctuary UMC. Rachel provides leadership to our Middle School youth ministries, and assists in other areas of youth ministry. Kim and her family came to St. Mark’s in 1988, and she’s been working with our youth since 1999. She holds a Master’s degree in Educational Management and Development. Kim leads UMYF (the youth fellowship program), confirmation classes and the summer youth mission trips. In addition, she is a resource for the youth Sunday School teachers. Susan and her husband, Harold, began attending St. Mark’s in 2016 after relocating from Ada, Ohio. They became members in 2017. 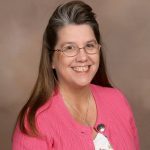 Susan accepted the Music Ministries Coordinator position in May of 2017. Her primary role is to integrate all aspects of St. Mark’s music ministry into worship. Susan works closely with Pastor Sharon and the music staff to identify, develop and implement music that will enrich and compliment all worship services at St. Mark’s. The Chancel Choir and congregation have been blessed by the leadership of Elizabeth Schauer since 2003. Her musical gifts are evident through the choir’s Sunday morning anthems and the special musical programs that are offered at Christmas and Easter. Dr. Schauer is also Professor of Music and Associate Director of Choral Activities at the University of Arizona. Margaret is overseeing responsibility for the children’s Sunday School and fellowship programs and for adult classes. She also serves at chair person for the Adult Spiritual Growth committee at St. Mark’s. Janie has the extremely important job of manning the front desk of the church office. Multi-tasking should be her middle name, as she juggles phones, office visitors, mail, the copier, and assists the rest of the staff! 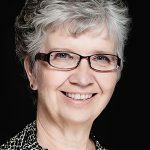 Additionally, she focuses on visitors and new members to our congregation, coordinates the Exploring Membership classes and is the staff liaison to the Church Growth and Hospitality Committee. Sherry came to St. Mark’s with her family as a young teen, remaining a member who raised her own children here. Sherry joined the staff in June 2013 and handles membership transfers and other church records (baptisms, marriages, etc.). She is also responsible for accounts receivable. Additionally, Sherry is the person to talk to if interested in purchasing a niche in the Memorial Garden. Laurie began teaching Kindergarten at St. Mark’s ECC in 2007 and joined the church in 2009. Laurie was hired as the ECC Director in June, 2016. She has a Bachelor’s degreen in Elementary/Special Education, and a Master’s degree in Educational Leadership. 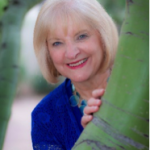 Laurie has taught preschool through 6th grade in public and private schools in Arizona and southern California. A member of the congregation since 2001, Sallyann manages the St. Mark’s website and social media presence, as well as most forms of church publicity and marketing. She receives emails sent to our generic “info@umcstmarks.org” address, and sends out the church’s mass emailings. In addition, she creates and publishes our church newsletter, the Messenger, every two weeks. Sallyann is also the staff liaison to the Technology Committee.